Exquisite flowers for once-in-a-lifetime events to remember. 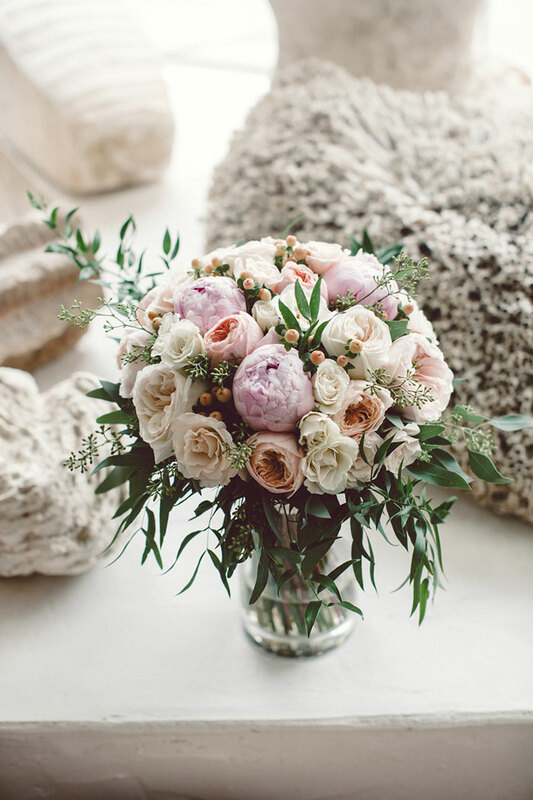 MM Florals by Meghan Michelle offers unique, sculptural floral designs from a world class florist with a history of high end events, weddings, custom creations, and workshops. Whether an elaborate celebration or small gathering of close family and friends, we are here to help make your day truly special. With an innovative sense of style, we specialize in floral design, creative direction and event styling from start to finish. From the planning process to the big day, your satisfaction is guaranteed with the candles lit before your guests arrive. Known for our exquisite bouquets, personal touches and attention to detail, we pride ourselves in creating custom floral designs that bring your unique vision and story to life, while working within your individual budget. It is the genuine care we take with every one of our clients that makes an event truly memorable. From boutonnières and corsages to large scale statement pieces, flower walls and ceiling installations, we love to do it all! Our talented team of designers work around the globe to create floral masterpieces for some of the most discerning clientele. We collaborate with welders, woodworkers, metal and glass artists, stylists and many other fabricators to produce events beyond your dreams. You name it, we'll create it, the only limit is your imagination. Just ask! We conduct flower arranging workshops in our studio located in downtown LA. Topics include wreath-making, flower crowns, succulent planters, simple centerpieces for entertaining and more. Classes are 3 hours long and provide materials, tools, music, wine and cheese and a whole lot of fun! Learn the basics in color theory, seasonal bloom varieties, composition, design techniques and flower care tips, then make your own floral masterpiece to bring home! Workshops are limited to 10 people and space fills up fast. Please email us for our upcoming schedule and to reserve a seat. 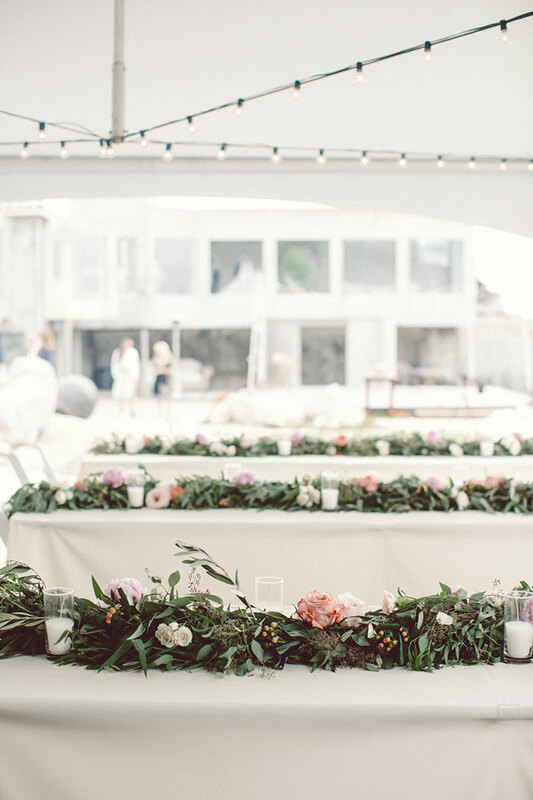 Simple elegant design for an intimate seaside wedding on the California coast. It was a magical day at a private oceanfront property with amazing architecture including grand windows that looked directly out to the sea and unique pieces of art carefully selected inside and out. This secluded venue at Villa Montara made it extra special, even a pod of blue whales were visible in the background. The laid back couple celebrated their love with their closest family and friends and a whole lot of gorgeous summer blooms. Inspired by warmth, nature and classic hominess. Premium florals with substantial texture and moody tones create a signature look with an air of luxury. Set at a private estate in Rolling Hills, seasonal blooms in deep reds, purples and burgundies set the mood with accents of taupe, peach and cream for an overall upscale and romantic feel. The flowers were lush, garden-style arrangements in black ceramic containers accented with plenty of candle light surrounding. The long rectangular tables, featured 3-5 larger pieces and various bud vases of different heights that held single blooms. Gorgeous “Red Charm” peonies stole the show, although the garden roses, dahlias and black ranunculus were close contenders…picture perfect and absolutely stunning. A historic hotel ceremony site gets a whimsical new look with hundreds of suspended white orchids and glass orbs. Classic elegance at the Ritz Carlton Monarch Beach with over-the-top white and green wedding. The couple exchanged vows on the bluff overlooking the ocean where hundreds of white florals filled the sky over the seating area for a visually stunning ceremony site. The bride and groom walked down a custom curved aisle lined with multiple glass cylinders filled with sea glass, submerged flowers and floating candles. At the altar stood 4 foot plexiglass pedestals with large arrangements of white roses and phalaenopsis orchids. The reception flowers featured various tall clear glass cylinders of different heights with hand-tied bouquets of lush white flowers, intermixed with floating candles and submerged tulips, roses and orchids. All in all, from the ceremony to the reception, this wedding incorporated an impressive collection of over 300 different glass vessels! We love working at the Ritz and taking advantage of their expansive venue space, this was definitely one for the books! Boho vibes at a relaxed backyard wedding in North Portland. In a casual outdoor reception at their charming home near Overlook Park, this adventure-loving couple took advantage of what a small, intimate wedding has to offer. They celebrated love with their close family and friends over fresh-squeezed citrus margaritas and delicious Mexican food from a local taqueria. Jazz music quietly played in the background while guests took turns at yard games and watched the sunset. The table flowers had a "just picked" look and were designed in an eclectic mix of vintage vases. For an added special touch, a custom floral swing was created for a fun photo op. This wedding was simple and sweet yet full of character and personalized details. Pioneertown's favorite weekend retreat goes artsy and cool with this non-traditional Wes Anderson themed wedding. This beautiful 11 acre ranch situated just outside Joshua Tree National Park was originally built as a getaway spot for western actors like Gene Autry and Roy Rogers. Rustic cabins, retro-fitted Airstream trailers, a lodge and the internationally famous architecture sets the scene for this magical desert venue with some amazing spots for wedding photography. The bride and groom's personalities and love for art and film, inspired the vibrant flowers and decor that was selected. Our creative goals were to exceed their expectations in executing a unique and interesting aesthetic, far from the ordinary. A bold floral palette was used comprised of dark purple, mustard, red, emerald green and deep blue, loosely arranged in various vases from off the beaten path flea market finds. Neat!